It is with deep sadness that we hear about the tragic death of Fr. MicheÃ¡l Mannion P.P. While Fr. MicheÃ¡l was only with us for a short period of time, he was loved and respected by all in the Community. He was a very prominent member of our club and was recently appointed to the executive. 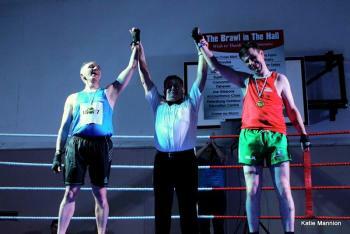 Only a few weeks ago he took part in a boxing competition to raise funds for Aras Pobail an FhÃ¡irche. We have all lost a very good friend and we will all miss him. It was a honour and privilege to have known him. On behalf of Cumann Naomh PÃ¡draig I express our sympathies to his family and his wide range of friends. AR DHEIS DÃ A RAIBH ANAM DILIS.